I first entered the travel space with my blog, The Pin the Map Project, which detailed my travel experiences throughout my twenties. At its height, The Pin the Map Project reached 50,000 unique monthly readers and worked with tourism boards including India, Dominican Republic, Jamaica, and Indonesia. While working on my blog, I decided to switch careers and pursue full-time editorial work as a travel editor and journalist. I authored multiple travel-related stories for various high profile publications before landing the role of Travel Editor at the start-up, Culture Trip. Throughout this, I maintained my blog for 8+ years. During that time, I created a platform as a travel expert and was asked to speak on numerous panels and conferences within the industry. In my thirties, I launched Unearth Women magazine with the mission to combine my love of travel with my desire to address more hard-hitting issues impacting women around the globe. 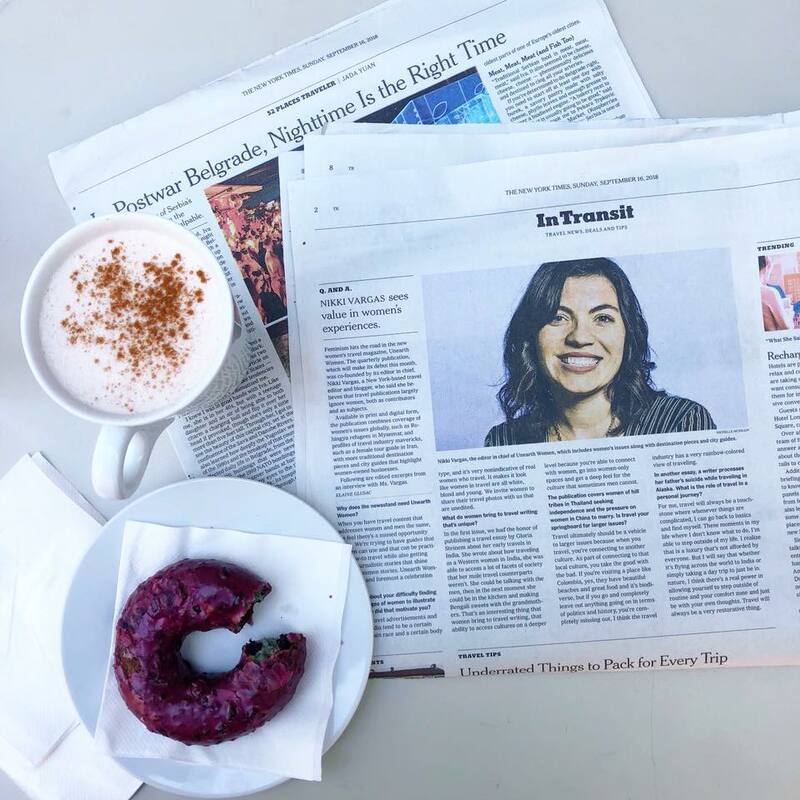 As Co-Founder of Unearth Women, I have been featured in the New York Times, Good Morning America, Washington Post, and VOGUE Spain to speak to the need for a dedicated female travel magazine.